Politics is at its most dramatic during debates over important pieces of legislation. It is thus no stretch to refer to legislation as a living, breathing force in American politics. And while debates over legislative measures begin before an item is enacted, they also endure long afterward, when the political legacy of a law becomes clear. 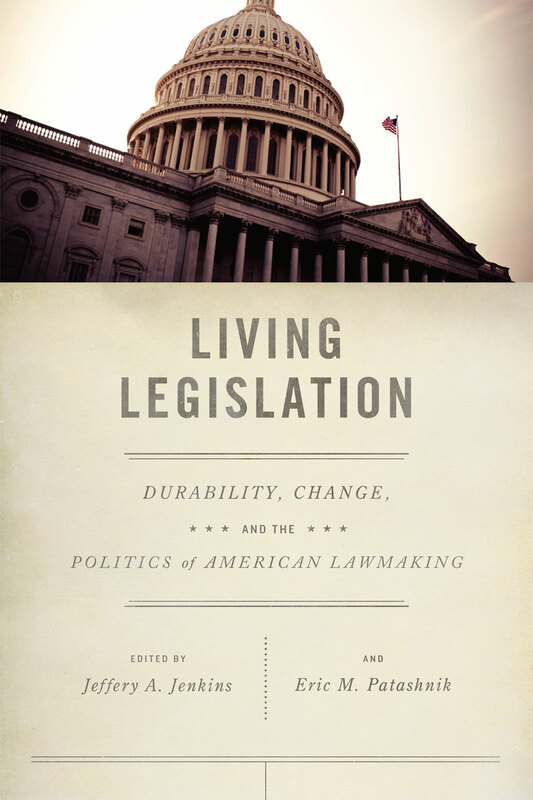 Living Legislation provides fresh insights into contemporary American politics and public policy. Of particular interest to the contributors to this volume is the question of why some laws stand the test of time while others are eliminated, replaced, or significantly amended. Among the topics the essays discuss are how laws emerge from—and effect change within—coalition structures, the effectiveness of laws at mediating partisan conflicts, and the ways in which laws interact with broader shifts in the political environment. As an essential addition to the study of politics, Living Legislation enhances understanding of democracy, governance, and power. "This collection of essays pushes the frontiers of knowledge about lawmaking in the US."